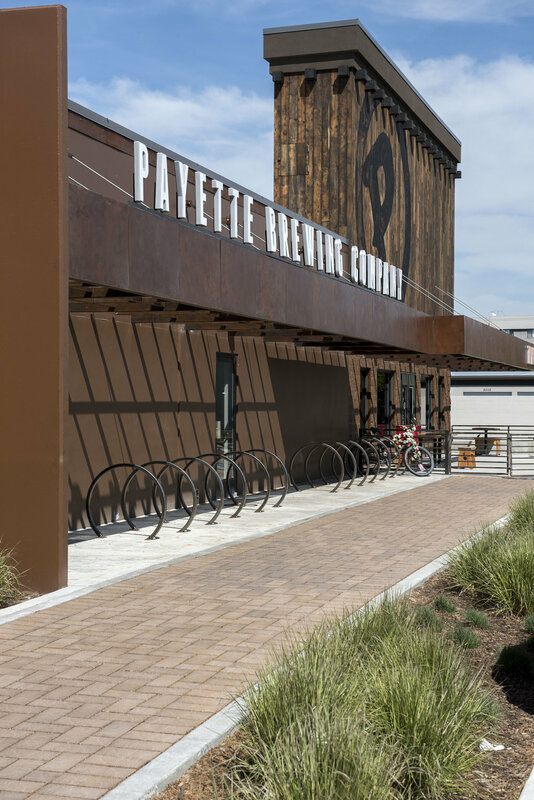 Payette Brewing Co. — The Land Group, Inc. 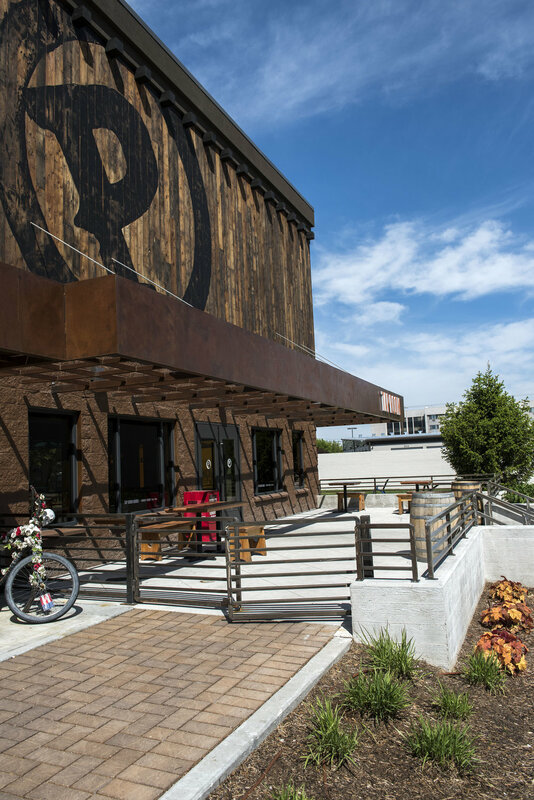 The Land Group and Cornel Larson Architects transformed the old lighting industry’s warehouse with a contemporary design into an attractive urban hub in west downtown Boise. 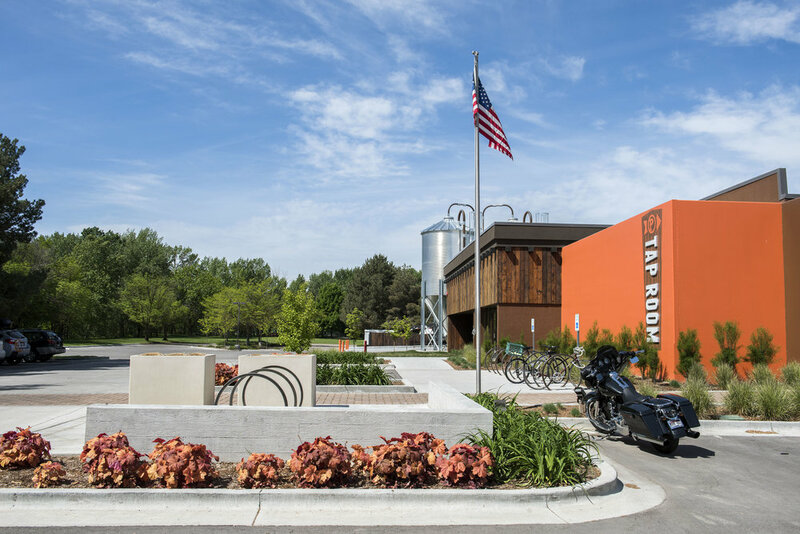 There is even a pedestrian/bicycle connection to the Pioneer Pathway and Greenbelt right from the front door!